I’ve been slacking on posting menu plans and really watching what I eat in general… with the result that I’ve had too many pounds creep back on. That plus some other health issues (including chronic allergies & asthma) plus the fact that I’m just done with the diet mentality of measuring out and logging everything I eat plus a serendipitous reading of a magazine article led me to decide to start The Whole 30 a few days ago. What is the Whole 30? It is a diet plan (in the sense of eating lifestyle, not calorie restriction) that relies on eating whole foods and cutting out additives that may cause allergic reactions or inflammation. I’m reading my way through It Starts With Food (the book which details the plan, although you can find plenty of details on the website as well), but the authors describe it as a “short-term nutritional reset”. So for thirty days (26 left to go! 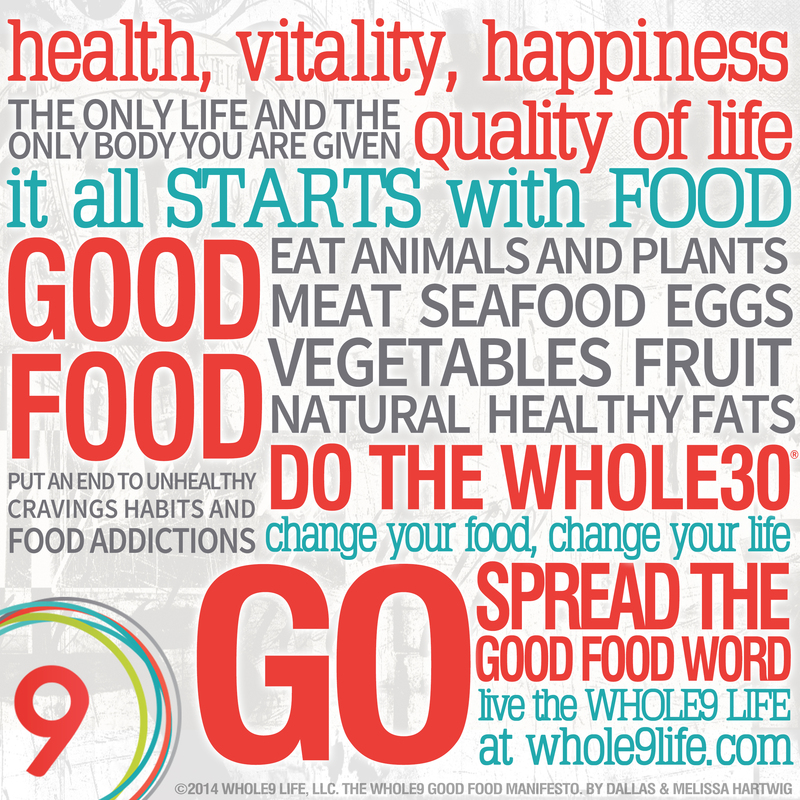 ), I’ll be avoiding grains, sugar, dairy, soy, and artificial preservatives. I’ll be discovering (and rediscovering) foods that are good for me. And I’ll be learning more about my relationship with food – because we all know that, at least for most people, what we eat is about so much more than just eating to live. When the thirty days are up, I’ll be experimenting with adding in what I removed, and seeing how it affects me. And from that, I’ll figure out what the new normal is for my menu planning (and eating!) for life. I’m lucky to have a few supporters on the journey. If you are reading this, I’d love to have yours as well. In the meantime, I’ll be writing some thoughts about the process, posting some pictures of the (delicious) meals I’m making, and continuing to share weekly meal plans! I made up a menu plan and just didn’t post it here. Still doing Whole30 and about halfway through – here are some of the meals I’ve been enjoying! I started Whole30 on 1/2/15, but this post covers all the recipes since then. Looking forward to a great week! Breakfasts: Eggs with veggies on the side – kale, asparagus, spinach, sweet potatoes, onions/bell peppers – whatever is in the refrigerator! Also some leftovers from Sunday’s potluck – I brought Whole30 complaint Sausage Breakfast Casserole (made with homemade sausage – I impressed myself with that one too!). Lunches: Usually leftovers from supper or from a soup made previously in the week, sometimes salad with whatever I have available thrown on top of it. Monday, 1/5: Fajitas, served over mixed greens for me (spinach, romaine, a touch of cilantro) and with tortillas for the rest of the family. Today’s fajita recipe: 2 peppers (I picked red and yellow), 1 sweet onion, 1/2 red onion, 4 oz. mushrooms all sliced and thrown into a skillet with some coconut oil. Add about 2 pounds of sliced chicken breast and 4 TBSP of taco seasoning. Cook until the chicken is done. Serve over lettuce/greens and top with tomato, cilantro, and avocado. Yum! Tuesday, 1/6: Leftover Chicken Vegetable Soup with some extra chicken from the one we roasted thrown in, and probably a salad. I impressed myself by making the stock for this soup (the recipe tells you how) so it is completely made from scratch. I made a few substitutions for some spices I didn’t have on hand, but overall left the recipe unchanged. It is fabulous. I now love sweet potatoes in soup. Wednesday, 1/7: Crockpot Italian Meatballs in Marinara Sauce, served with garlicky spinach for me and on top of spaghetti noodles for the non Whole30 eaters in the family. Maybe with more salad, because I still have 2 heads of romaine lettuce to use up. 🙂 I’ve made these meatballs before and we all really enjoy them. Thursday, 1/8: It’s leftover night! In addition to the recipes above, we have non-Whole30 compliant chili and Whole30 compliant Chicken Tortilla soup (also great!) in the freezer. Friday, 1/9: Time for some chili! I’ve made this chili before as well and really enjoyed it. With our usually chili with beans off the table, it’s past time to make this one again. Planning on topping it with some avocado and red onion. Saturday, 1/10: It’s time to re-evaluate what leftovers we have in the refrigerator and freezer. If I need to, I’ll cook up some chicken breasts seasoned with garlic salt and roast some vegetables (we have carrots, parsnips and butternut squash on hand). Sunday, 1/11: Heading to another potluck – pretty sure I’m going to make Crockpot Minestrone Soup! 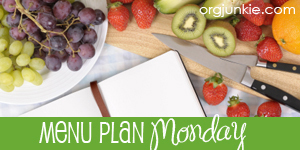 Linking up with Orgjunkie again for Menu Plan Mondays. Hoping strawberries are ready next week but thinking it’ll be a little longer… I’m glad to be back on track with cooking again! Well, I am back to menu planning but haven’t updated here in a while. Trying to make even more dietary adaptations here, so look for relatively low-carb meals (I’m not following any particular commercial diet, but keeping meals to under 45 carbs… which has been a challenge). Outside activities (and time away from the house) are ramping up too, so this is the place to come for crockpot meals! I have so many meals pinned from Pinterest that I want to try too! Multigrain Waffles, with 1 cup of blueberries added to the batter. Now to figure out a menu plan for next week! Throw everything into the crock, and stir. Cook on low for 6-8 hours. Near the end of the cooking time, give it a stir and add more water or broth if you want it soupier. Linking up with orgjunkie.com again!